Rally Queensland – although no longer on the calendar, this is my home event and the stages have always been very challenging for both of the crew. Nambucca, Rally Australia. 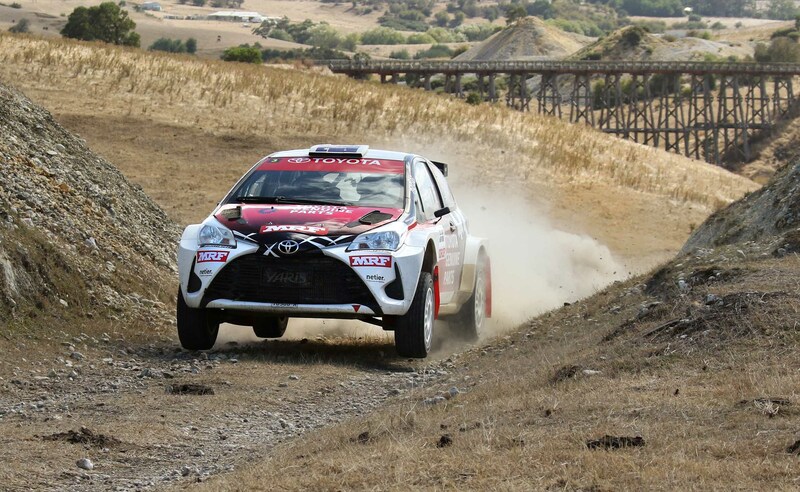 At nearly 50km in length, this stage is a great challenge and offers up everything. Harry and I always seem to do well over this stage also. Love it. Probably the arcade game “Sega Rally Championship” at maybe 12 years of age. I would hate to think how much money I spent playing that game, but it was a lot. Quite a lot. The first event I went to in person was a Queensland Rally Championship event that went well into the night. The event was based at Gallangowan Oval which was a campsite for the logging activities in the area and a natural amphitheater because of its position at the bottom of a valley. I remember walking around the oval with a drink at 10pm and being able to see two to four cars on a stage at any point in time, plus being able to hear another five to ten. Awesome. The 2017 National Capital Rally in Canberra. We won both heats and scored the bonus point, but it was just one of those weekends where everything worked more-or-less perfectly. The buzz at the podium was even enough to overcome the bitter, bitter cold of Canberra in May. I did a state round in SA with a friend I met at the AIS. He used a motorcycle helmet at the time and had blacked out the visor so it functioned at a ‘peak’ to stop the sun from getting in his eyes, but after a particularly heavy landing over a jump the visor flipped down and he couldn’t see a thing at something like 140km/h. All I heard was “S*%t!” in the intercom and when I looked over my right shoulder I realised why. Any of the current batch of WRC Cars. Focus on things that are within your control. Will Ferrell, Elon Musk, Adrian Newy. The Rally WA was my 100th rally. KCF Rallysprint, round one, 2002.